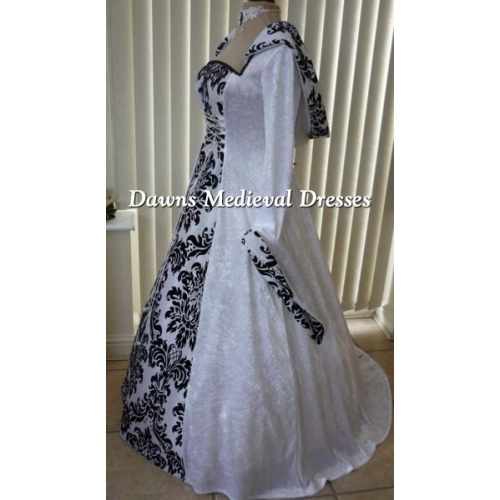 The main part of this gown is made from a lightweight White velvet (which contains a small amount of lycra for a more comfortable flexible fit ),teamed up with a breathtaking White Taffeta middle panel with beautiful Black velvet detail . 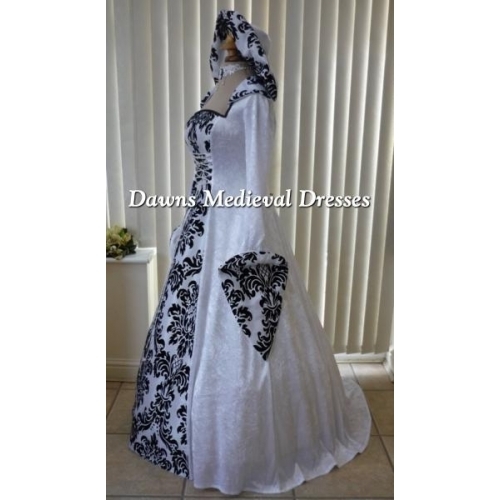 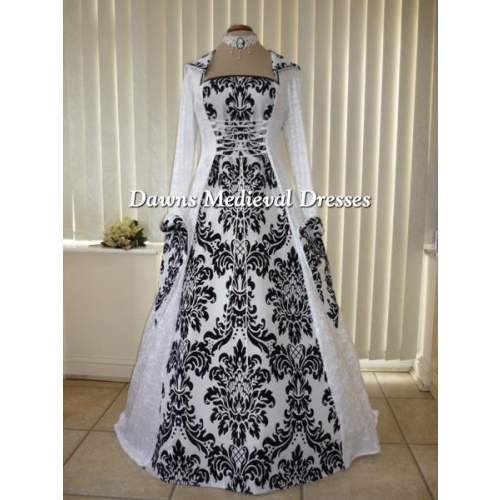 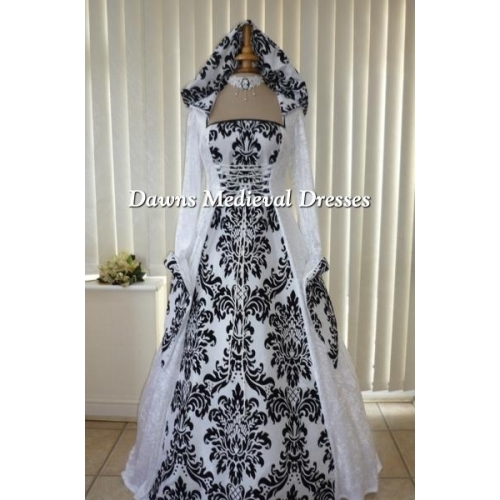 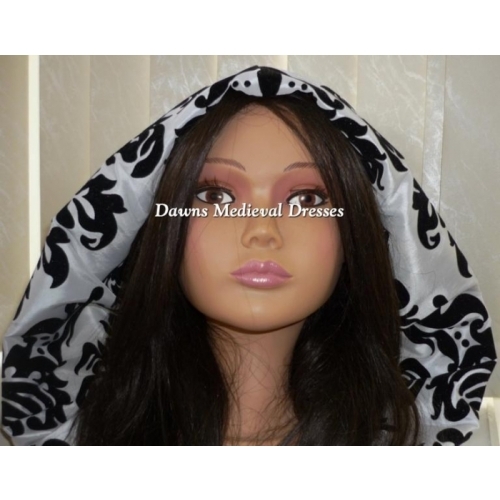 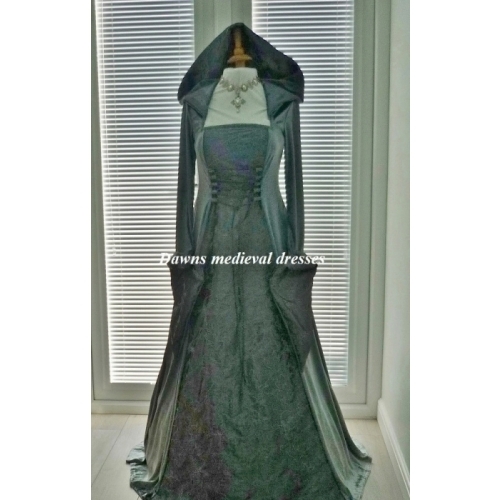 The sleeves are very luscious and typical to the medieval era. 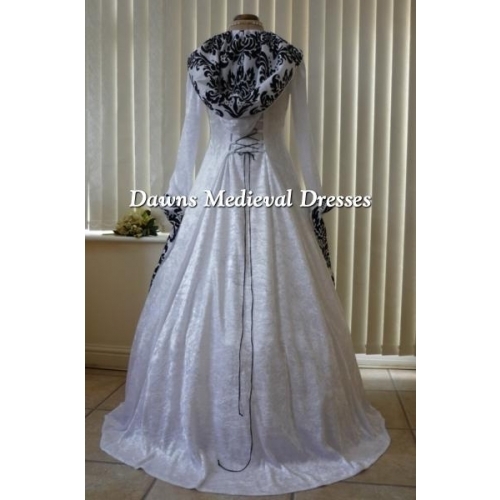 Semi fitted style with a wonderful v cuff which has been lined in matching taffeta , you can wear these two ways either left to drape down over the hand or turned over slightly for a more dramatic look. 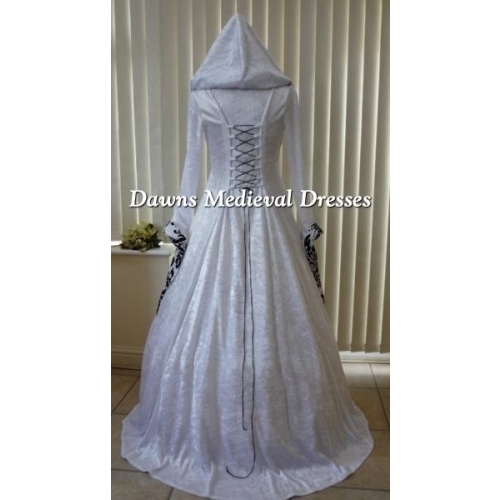 The front and back has a corset type lacing ... this allows you to tighten or loosen the dress to get the perfect fit for you.